Currently, home health agencies use either bill type 032x or 033x on their claims for home health service provided under a home health plan of treatment. Depending on the circumstances, Medicare home health services are paid either under Medicare Part A or Part B. For example, if the patient is enrolled in both Part A and Part B and does not met the coverage criteria under Part A, the services will be financed under Part B of the program. Conversely, if the patient is only enrolled in Part A or Part B, the home health services will be financed under the part of the program that the beneficiary is enrolled. The portion of the Medicare program that finances home health services is determined at the claims processing system level. If an agency places the wrong TOB on the claim, the system automatically makes a correction to ensure the appropriate portion of the Medicare Trust Fund is financing the services. 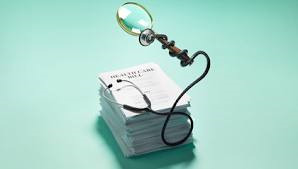 In 2012, the National Uniform Billing Committee - which maintains the TOB code set healthcare organizations use on claims - voted to simplify the TOB codes used for home health claims when services are provided under a home health plan of treatment. The choice was to eliminate TOB code 033x and redefine TOB code 032x to be used on all claims for home health services under a plan of treatment. Agencies will continue to submit claims with TOB 034X to bill for services when there is no home health plan of treatment. All home health request for anticipated payments (RAPs) and claims with a From date on or after October 1, 2013, with a TOB 033x will be returned to the provider for correction.